Macey was re-rescued on 27th May 2012, she was an ex-rehab from a different Sanctuary, riddled with worms and massively underweight at 16kgs. 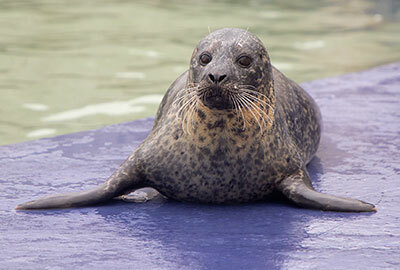 Macey spent a few months at rehabilitation at the Hunstanton SEA LIFE´s rescue hospital. Click here to see Macey´s rescue page. Macey has a permanent thyroid condition and will need regular medication for the rest of her life. 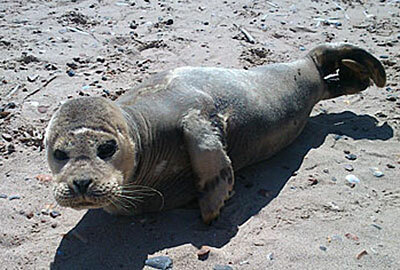 She was moved to Oban SEA LIFE Sanctuary as a resident seal in the Winter of 2012. Macey had six wonderful years in Scotland until the centre sadly closed on 31st October 2018. 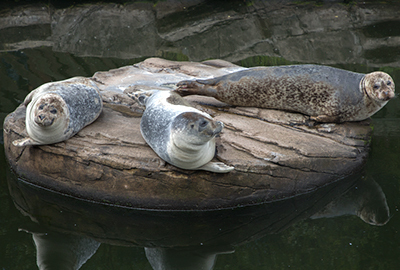 Macey along with her two friends, Pippa and Lora, were given a temporary home back at Huntanton SEA LIFE on 1st November 2018.